Crowd Machine consists of the Crowd Computer, Crowd App Studio and Crowd Share. The Crowd Computer is a global decentralized app execution engine. It has been designed to execute blockchain smart contracts and decentralized apps that meet any requirement. The Crowd Computer consists of a peer-to-peer network of Crowd Virtual Machines (“CVM”) that run on the peer devices. Device owners are compensated for the use of their surplus processing power to run the CVM. Embedded in the Crowd Computer is the Crowd App Studio that enables anyone to create decentralized apps without writing code. Crowd Share is a GitHub-like repository of source code that developers can use free of charge to help build their apps. Why is the name of the company Crowd Machine? The name reflects our commitment to enabling everyone in the world, regardless of their location, to be rewarded for their participation in the decentralized app economy. How long has Crowd Machine existed? Crowd Machine is a new company, but the Crowd Machine technology has been in development for many years. How many employees does Crowd Machine have? Crowd Machine has 27 employees. 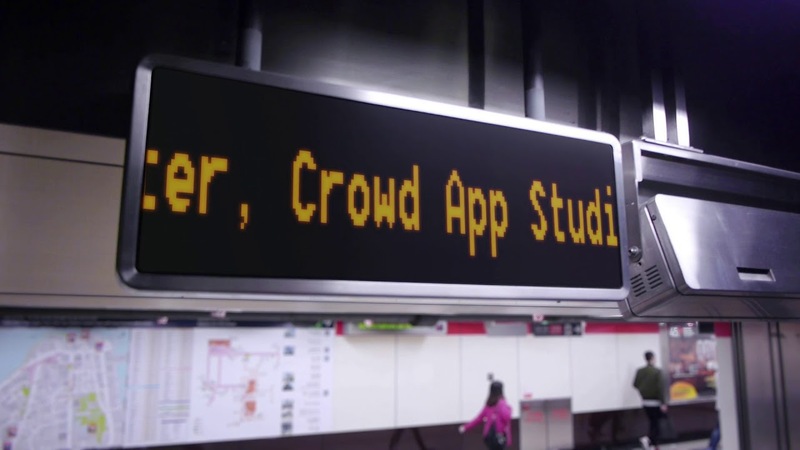 What is the Crowd App Studio? It allows App feature and function to be drawn as logic diagrams, making it faster and easier to create apps than current development approaches. What am I able to build? Any type of decentralized or blockchain app. Are there any app limitations? You can build almost any type of app using the Crowd App Studio and deploy it to the Crowd Computer. What is the cost of running my app? That depends entirely upon your app. You only pay for the Crowd Computer processor time you use. Can my app scale with demand/traffic for load balancing? How can I predict my costs? The best way to predict your costs is to build you app and deploy it to the Crowd Computer test network. On the test network you can simulate user load which will simulate your cost. Crowd Share is a GitHub-like source repository enabling the commercialization of source code by the developer community. It allows developers to monetize their intellectual property in an open marketplace. Crowd Share is a growing repository of ready to use, plug and play, app content allowing applications to be assembled rather than created. Crowd Share further accelerates app time to market. Is Crowd Share like GitHub? Yes, but is specific to the Patterns, Activities, Packages, and Attributes that create apps on the Crowd Machine network. I am a software developer. Can I contribute source code? You can contribute your source code’s logic built as Patterns. You can also wrap any API from an external service or product and place it in Crowd Share for community and customer use. How do I contribute to Crowd Share? You can contribute by assembling Patterns for your apps, which are then open-sourced for other community developers to use in their apps. What is the Crowd Computer? A powerful peer-to-peer computational network that leverages global device capacity to power the execution of blockchain and decentralized Apps where owners are paid for allowing their devices to be a part of the App execution network.